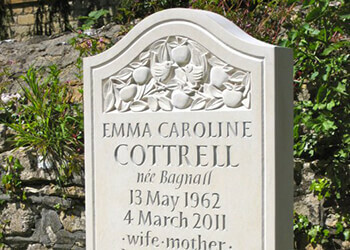 For more than 30 years we have helped people to create beautiful memorials, individually designed and hand-carved by artists. We can help you to find an artist to create the memorial that is right for you and your loved one. Browse the gallery below to see the craftsmanship of the artists with whom we work. 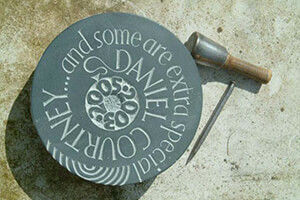 The experience of commissioning a piece from a letter carving artist is a deeply personal and profound one. It is our honour to be part of this process. 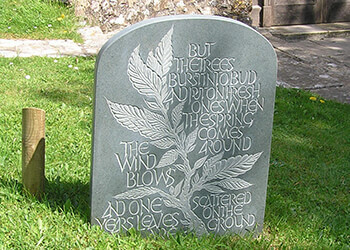 If you are thinking of commissioning a memorial headstone or tablet, have a look at what we offer and get in touch.